V-Care is a multi- specialty clinic. Clinic has facilities of PODIATRY, PHYSIOTHERAPY & OCCUPATIONAL THERAPY. V-Care: A Podiatry clinic -dedicated to treating problems of foot and lower limb. The word podiatrist is composed of two ancient Greek parts: pod, meaning "foot," and iatrist, meaning "healer. Podiatry or podiatrist medicine is a branch of medicine devoted to the study of diagnosis, and treatment of disorders of the foot, ankle, and lower extremity. Here at V Care after taking history of the patients complains, a thorough bio-mechanical assessment is done. It involves observation of alignment of bones & joints, testing of muscles, assessment of walking pattern (gait analysis), their footwear and their activity level. The purpose of a bio-mechanical assessment is not to solely identify the root cause and provide diagnosis, but to assess and explain the factors contributing to the issue. This is imperative when arriving at the inference of the best way to manage each case, as different management approach is required depending on the different factors identified. This allows all problems to be addressed leading the patients to get back their day-to-day tasks or activities. 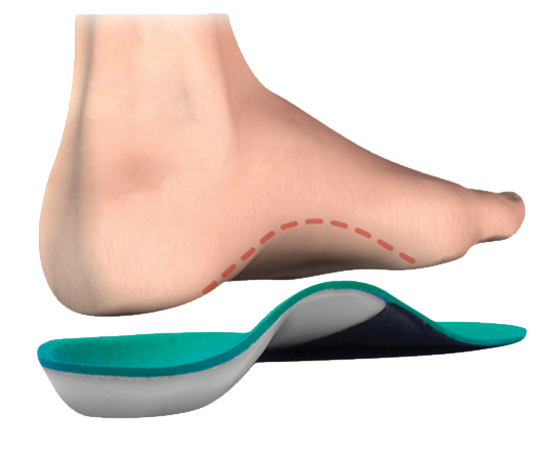 Orthotics are devices utilized by podiatrists to address bio-mechanical issues that directly or indirectly contribute to discomfort or injury ; or as a preventive measure for people who are deemed at risk. The level and area of support will be carefully decided by our podiatrist at V Care and is tailored specifically for individual cases. In addition we at V Care perform Pediatric Assessment of foot which involves early recognition of problems which is the key to timely intervention and helps to prevent deterioration of the condition. V-Care Clinic. Ethereal theme. Powered by Blogger.